Seaport’s Concierge Jillian Hinchey is more than just a foodie—she’s a food fanatic! Between her own passion for food as well as dating a chef, she has a flair for all cuisines and isn’t afraid to try new restaurants. She recently provided us with great intel on the local food scene. This local food bazaar opened in July, and it’s received rave reviews from the crowds it’s been pulling in ever since. Home to everything from a butcher to a craft beer alley, the Boston Public Market truly has something for everyone. Jillian recommends the marshmallows from Sweet Lydia’s, fresh pasta from Nella Pasta, chocolate bars and made-to-order drinks from Taza Chocolate, meat from Chestnut Farms, apple cider donuts from Red Apple Farm, and just about everything offered from Union Square Donuts. For these and other vendors, head to the BPM—located conveniently above Haymarket Station. Open Wednesday through Sunday from 8AM-8PM. 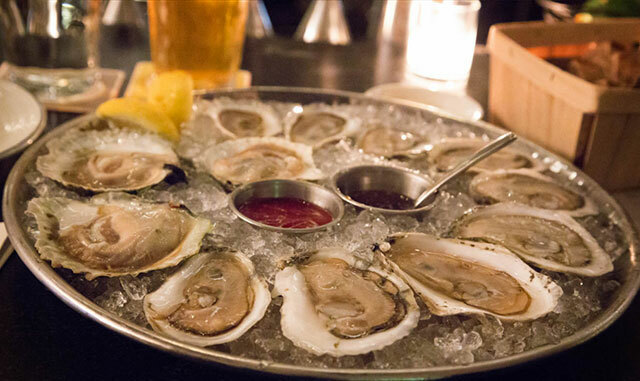 Jillian’s finds the region’s food mecca to be across the river around Harvard Square. Her absolute favorite called Giulia is just past Harvard Square on Massachusetts Avenue. Here she recommends the bucatiniall’amatriciana among the many creative, standout dishes on the menu. Other Cambridge favorites on her list are Alden & Harlow (one of the most blogged restaurants in the world! ), TW Food, and Park. Everyone from young hipsters to established couples from the suburbs flock to this neighborhood most nights and weekends to score a table at its bevvy of chic, trendy restaurants. Jillian’s top three include tapas bar Toro, Barcelona Wine Bar, and Stella. Each are heavy favorites of the see-and-be-seen crowd, so be sure to make reservations in advance!